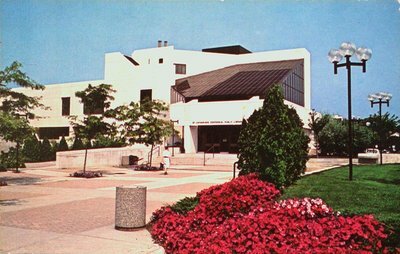 A postcard of the St. Catharines Public (Centennial) Library from James Street, St. Catharines, Ontario. 1978. Published by Schneider Enterprises & Gifts Ltd., Woodstock, Ontario, Canada.